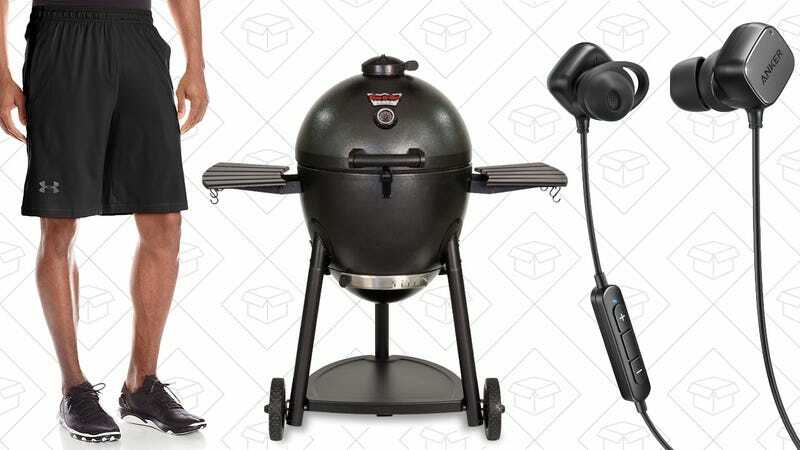 Anker’s newest SoundBuds , a Big Green Egg alternative , and a huge Under Armour apparel sale lead off Friday’s best deals from around the web. 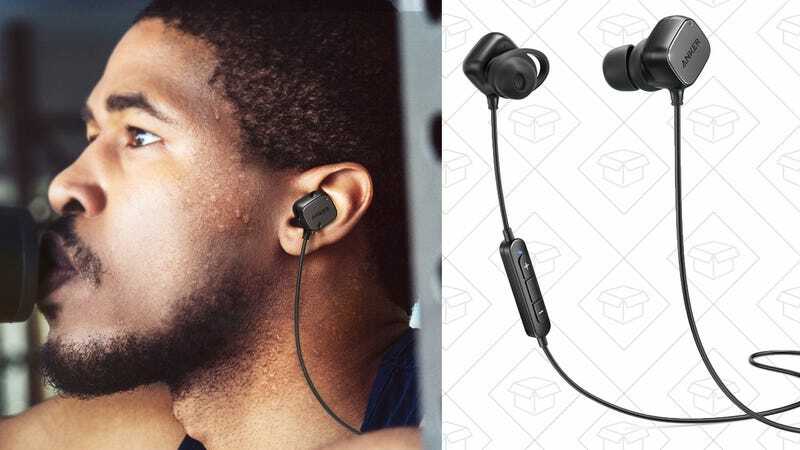 Anker’s original SoundBuds are your favorite affordable wireless earbuds , but the new SoundBuds Tag just got their biggest discount ever. $26 is $10 less than usual, and beats the previous deal we saw by $2. 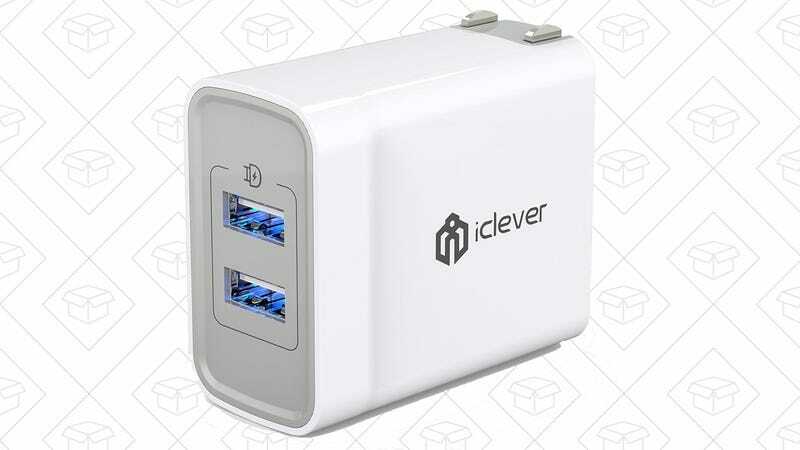 iClever’s BoostCube+ seems like a pretty perfect travel charger. You get two ports, folding plugs, 100-240V support for international use, and 24W of power for faster charging. My favorite little touches though are the lighted USB ports, which makes it easier to plug in cords in a dark hotel room. 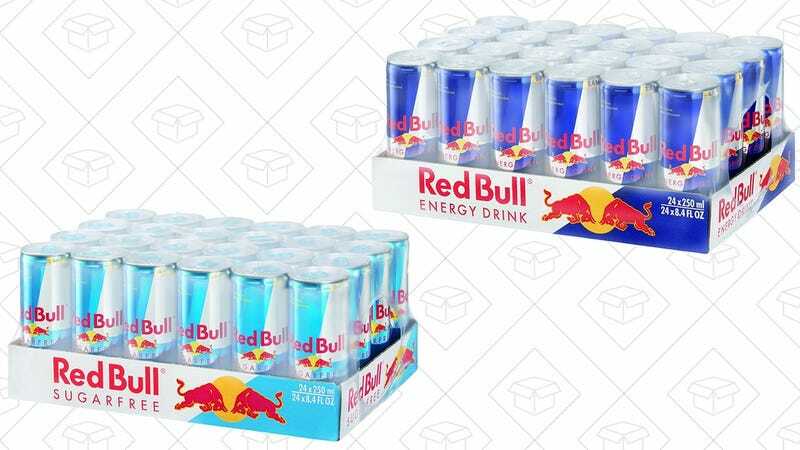 Get it today for $7 with promo code ICWALL08. 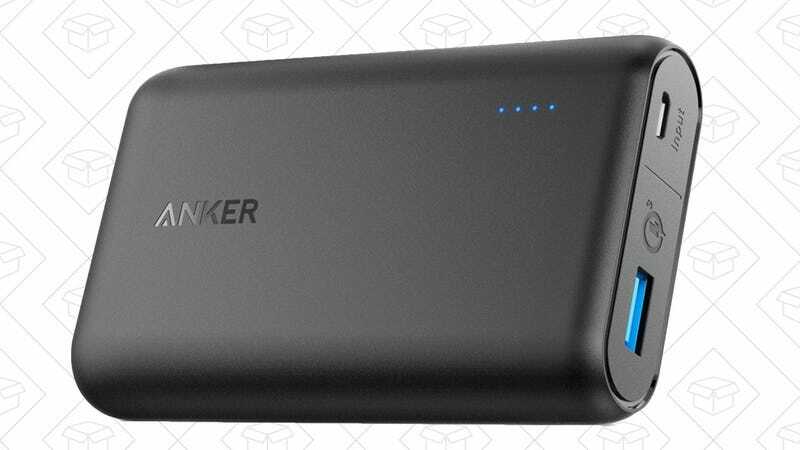 Anker’s PowerCore Speed 10000 is part of your favorite line of USB battery packs , and you can pick one up on Amazon today for just $27 , or about $5 less than usual. Not to be confused with the older PowerCore 10000, this model includes Quick Charge 3.0 (backwards compatible with 2.0), which should feed power into your compatible phone like a firehose. 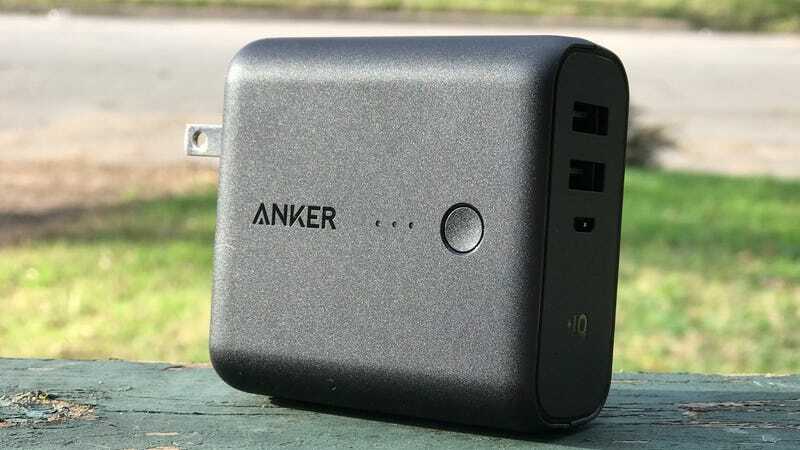 You also get Anker’s standard 18 month warranty and a nice travel pouch, but the real reason to buy the PowerCore 10000 is its size. If you’ve owned other ~10,000mAh battery packs, you’ll be shocked how small and light this thing is. Most inexpensive Bluetooth speakers you see include a single 5W driver, or maybe dual 5W drivers if you’re lucky. 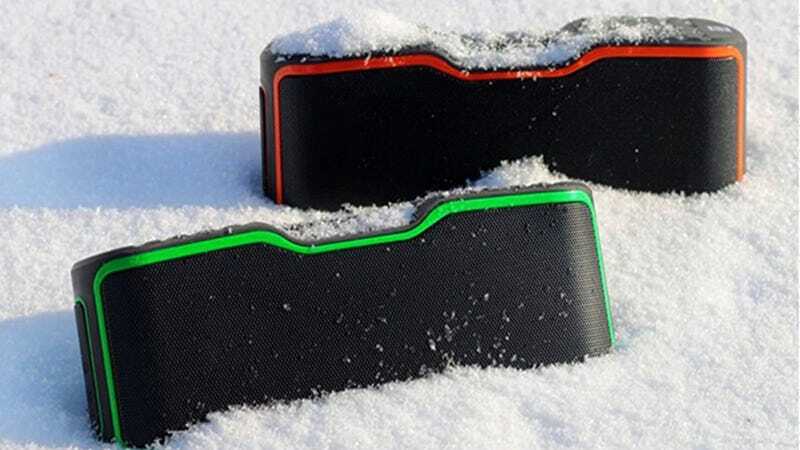 But the AOMAIS Sport II packs in a pair of 10W drivers, plus IPX7 water resistance (meaning it can actually be submerged to a point), and a 10 hour battery. Not bad for under $40. USB-C will take over the world before long, but in the meantime, you’ll want some USB-C to USB-A cables to ease the transition. 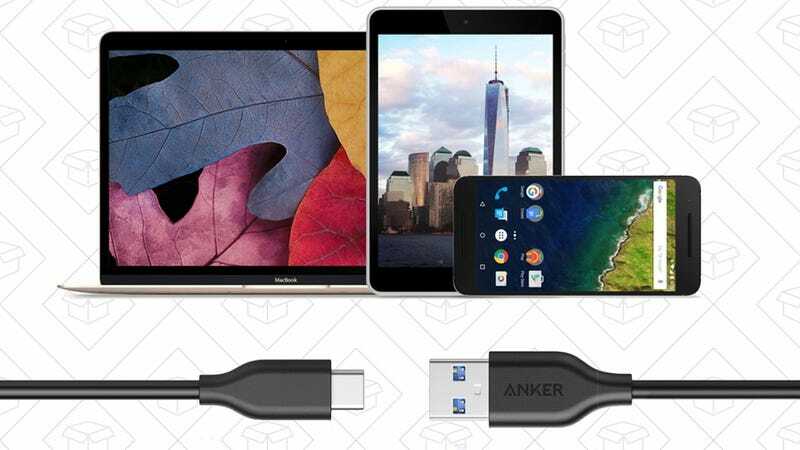 Get three reader-favorite Anker PowerLine cables for $14 , no code required. You probably already know that you cansave $100 when you buy two of Amazon’s new Echo Shows , but now, there’s a similar deal available on the original, audio-only Echo . 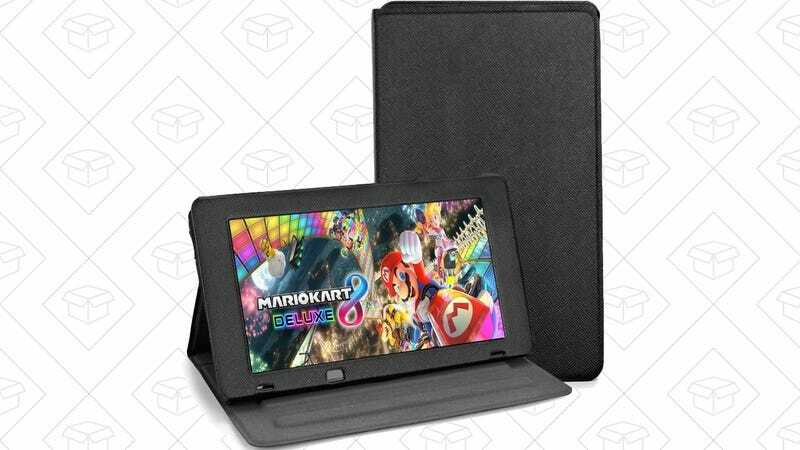 Just add two of the full sized Echoes to your cart , use promo code ECHO2PACK, and you’ll save $80 at checkout. 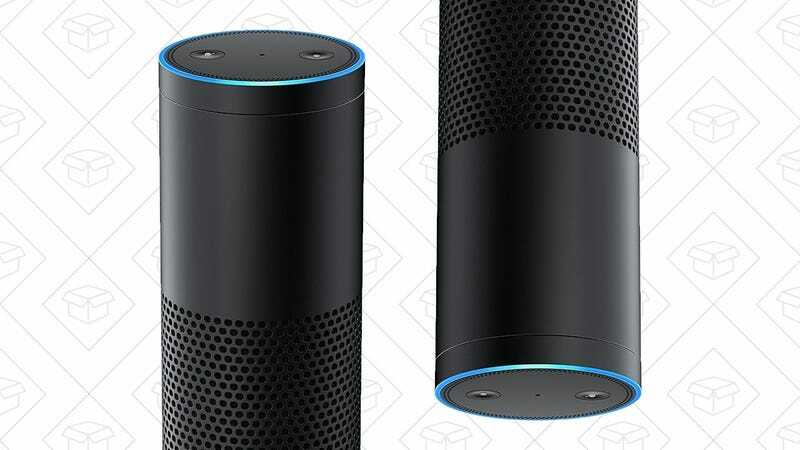 If you want to spread Alexa all around your house without relying on the Echo Dot’s underpowered speaker, this is a match for the best per-device price we’ve seen since the Echo launched. You could also keep one for yourself, and give the second as a Father’s Day gift. We’ve seen USB outlet receptacles go as low as $15 before, but this model has slightly more powerful ports, with 4.8A shared between them, vs. 4A on most alternatives. That means your high-draw devices like tablets will charge up faster as you use them. Just be sure to use promo code 4M2NCOSS at checkout to save a few bucks. 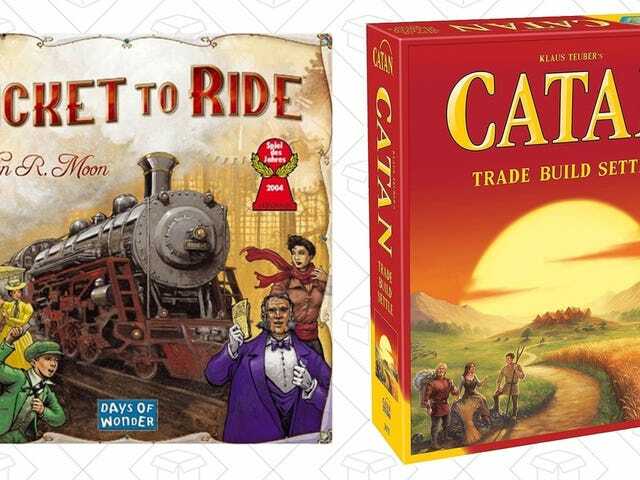 We’ve posted deals on these several times now, but today’s $12 (RGB ) and $10 (white ) price points are all-time lows. Just be sure to use code CCT8XE05 at checkout to get the deal. One of the newest members of Anker’s insanely popular PowerCore battery pack family pulls double duty as a USB wall charger , and you can get one for just $22 today. 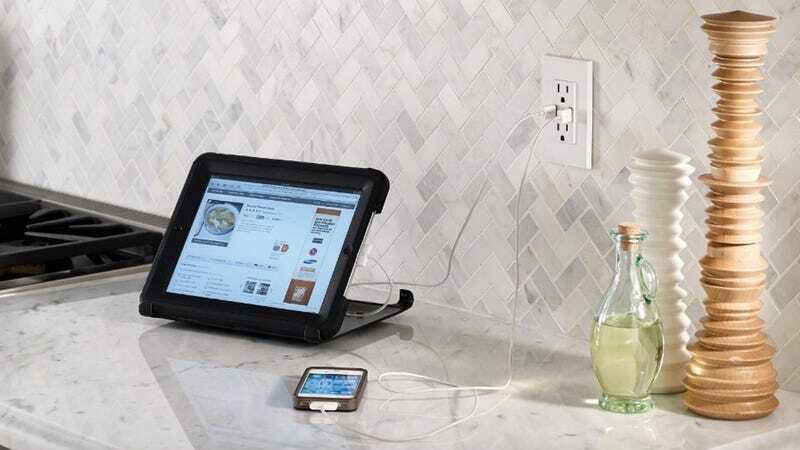 Shep played around with the PowerCore Fusion when it first launched, and loved it, mostly for the fact that it’s the only Anker battery pack that you can charge by plugging straight into the wall. 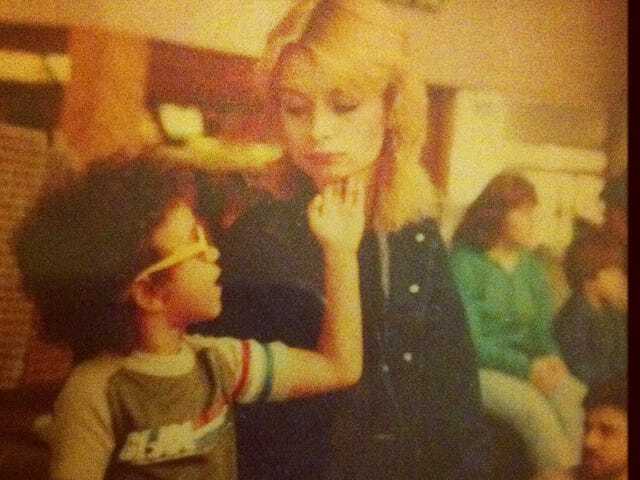 You can read all of his impressions here , and then head over to Amazon to get yours. If you don’t love espresso more than life itself, you can go ahead and leave this post. I recommend going to watch this Google Assistant ad mashed up with the Blade Runner 2049 trailer audio; it’s a better use of your time. Okay, I think they’re gone. Hello, espresso lovers. 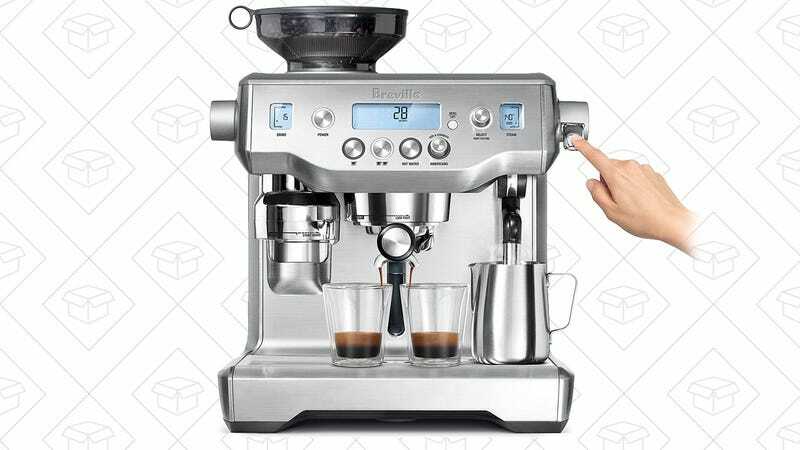 Today, I bring you a $1200 refurbished Breville espresso machine . 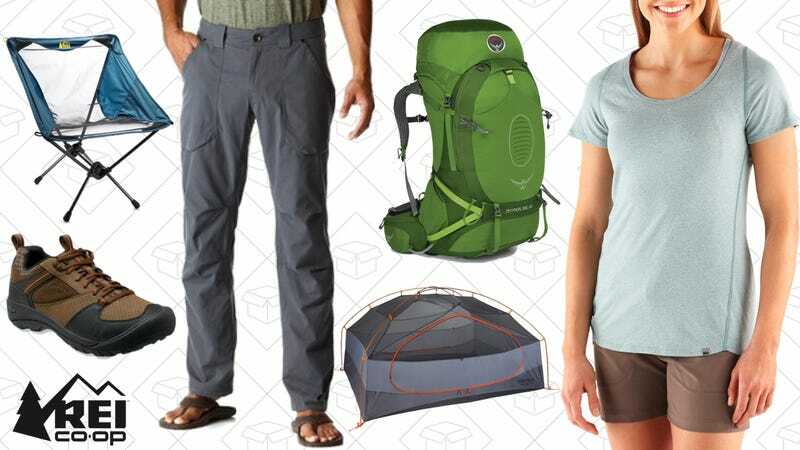 That sounds ridiculous, but it costs $2000 new , and this deal is only available today. Just let me know if you bought one, and I’ll come over for an affogato. 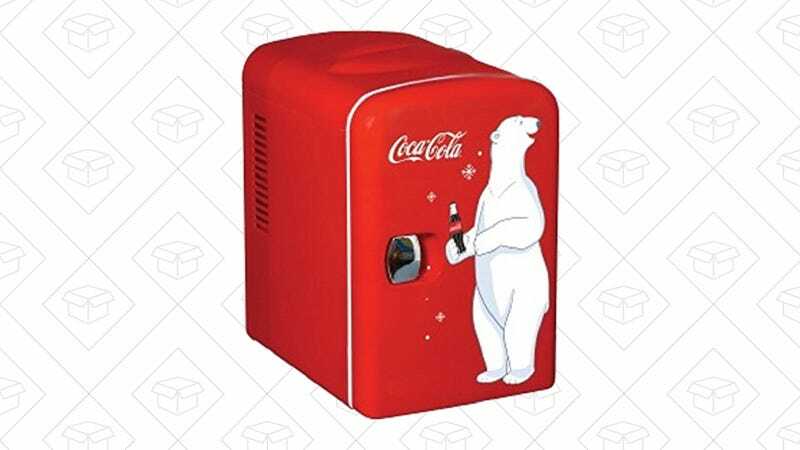 We heard you like Coca-Cola, so we put some Coca-Cola on a fridge that you’ll put Coca-Cola in, so you can enjoy Coca-Cola while enjoying a Coca-Cola. 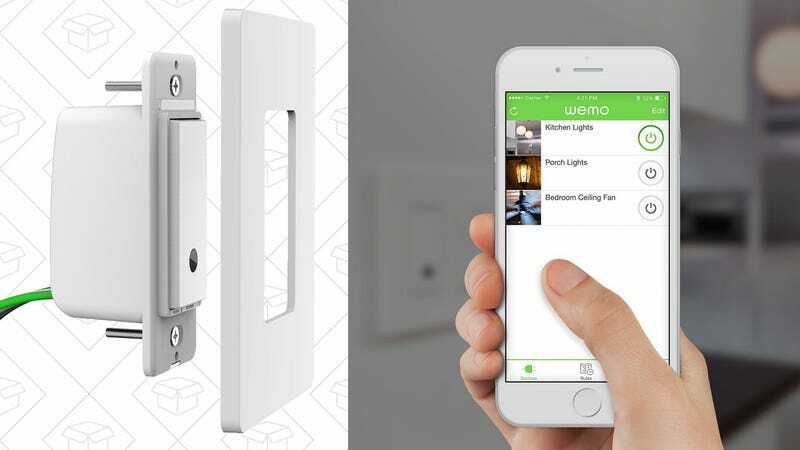 If you don’t mind buying a refurb, the official Linksys eBay store is selling off WeMo light switches for just $15, easily the best price we’ve seen. 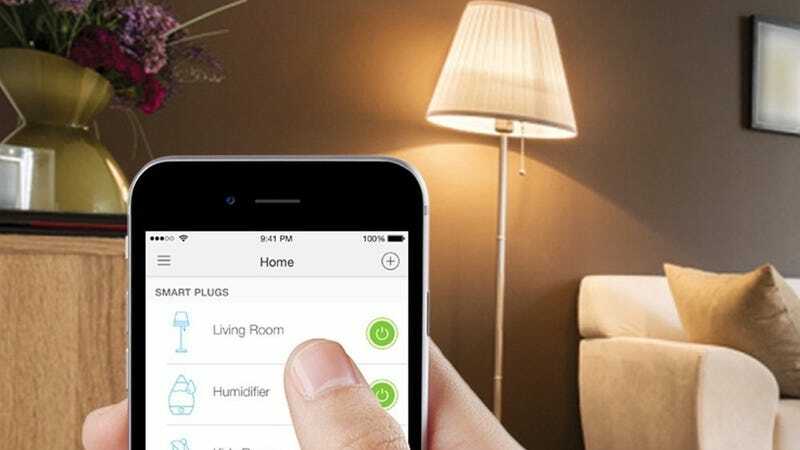 These will add smartphone, Alexa, and IFTTT support to any built-in light fixtures in your home, and only take a few minutes to install. Just to give you some context, buying it new would cost you nearly $50 right now , and $29 is as low as it’s ever gotten. 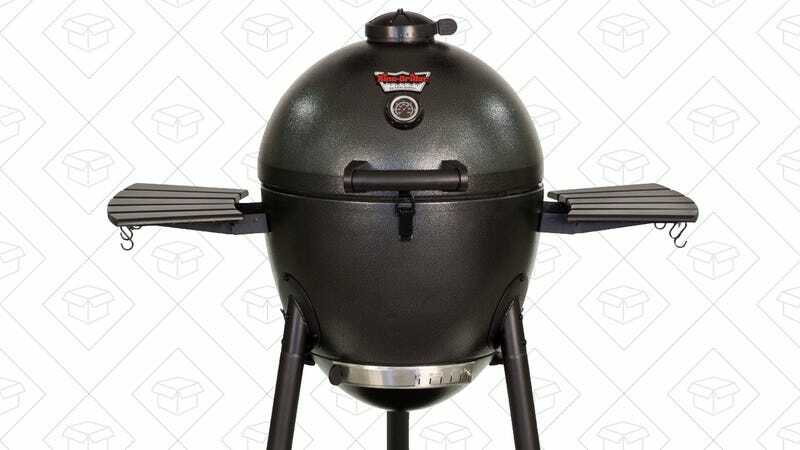 If you want a Big Green Egg charcoal grill, but don’t want to cash in your 401(k) to buy one, this Char-Griller alternative is down to $262 for Prime members today . That’s the lowest price in months, and a great investment for meat lovers everywhere. 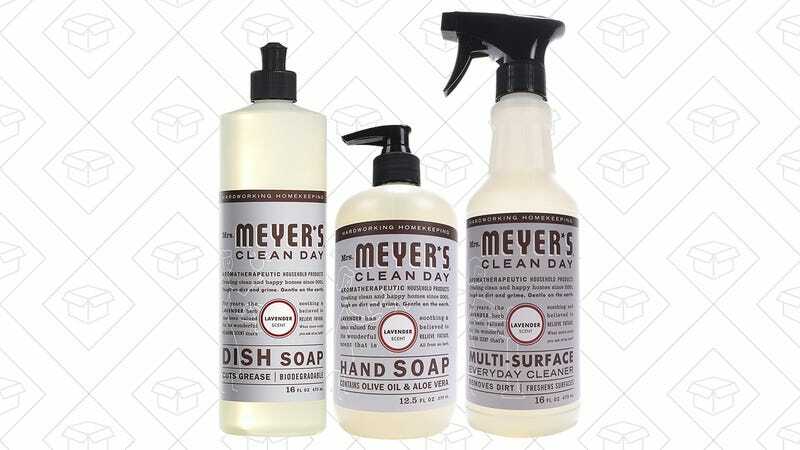 Mrs. Meyer’s plant-based soap is normally quite a bit more expensive than the competition, but with this 20% Amazon coupon, it’s priced just right. This set includes dish soap, hand soap, and an all-purpose cleaner, in your choice of three scents: Geranium, Lavender, and Basil. From age 18 up until about a year ago, I had bedding from Target that I swore by. Specifically their Jersey Sheets that literally feel like sleeping in a giant version of a perfectly-worn t-shirt. 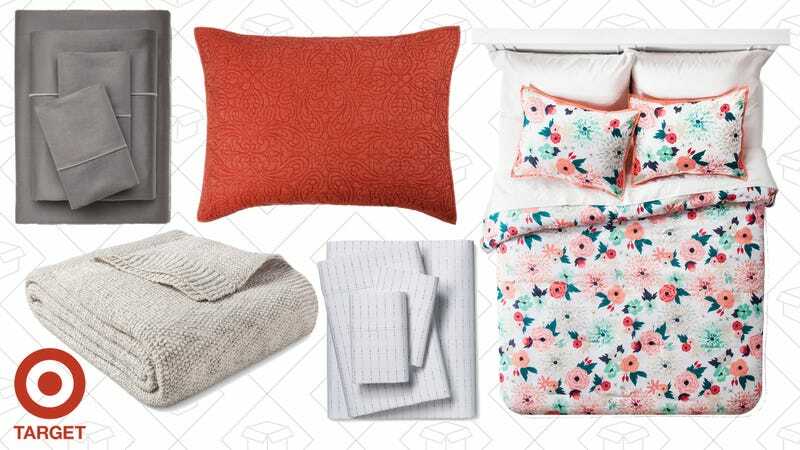 Right now, they’re giving you 30% off all their bedding, which includes everything from duvet inserts to pillow shams. 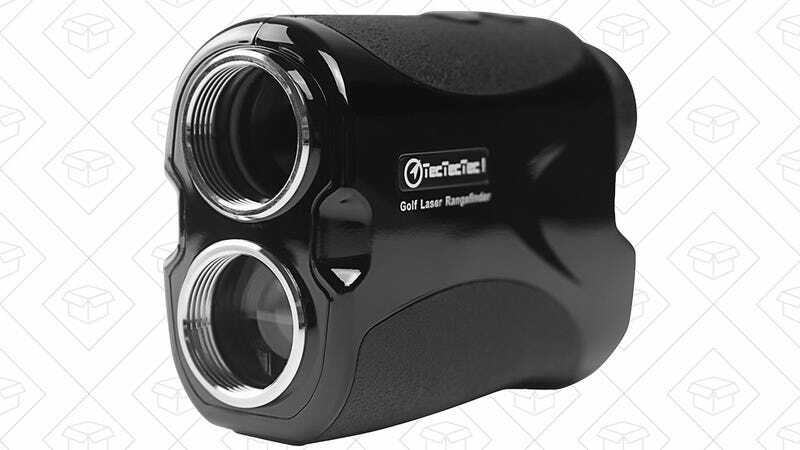 I’m not sure it would do my golf game any good, but this highly rated laser rangefinder is $30 less than usual on Amazon, today only. It can measure up to 540 yards with accuracy down to a single yard, so you’ll be sure to use the correct club to hit every single bunker. Even if you don’t golf yourself, this would make a great Father’s Day gift. 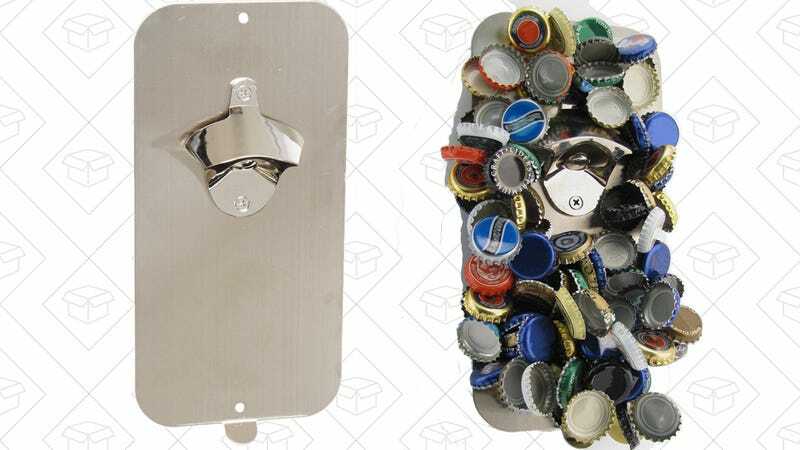 If a giant, floating pile of bottle caps would be a point of pride, rather than a source of embarrassment, this $16 magnetic bottle opener has your name on it. 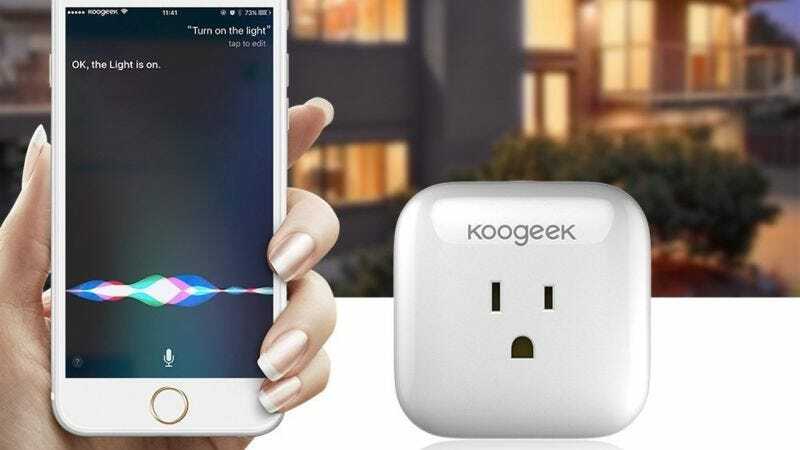 We see deals on WeMo switches and TP-Link Smart Plugs on a pretty regular basis, but this similar product from Koogeek is Apple HomeKit certified, and only $24 today, the best price we’ve seen. Like those other smart switches, the Koogeek Wi-Fi Smart Plug includes an app for turning your electronics on and off, and putting them on a schedule. The key difference here is that you can also control it with Siri from your phone, or from Control Center in iOS 10. That’s a big deal if you’re an iPhone owner, and with promo code KIERRPVG, you’re not even paying a premium for it. If you have any home improvement projects on the horizon, or have just been meaning to fill in the gaps in your tool collection, Home Depot is running a fantastic Memorial Day deal on Ryobi tools. All you have to do is buy a Ryobi One+ 18V drill/driver for $99, and then choose an extra tool or spare battery from this selection for free. 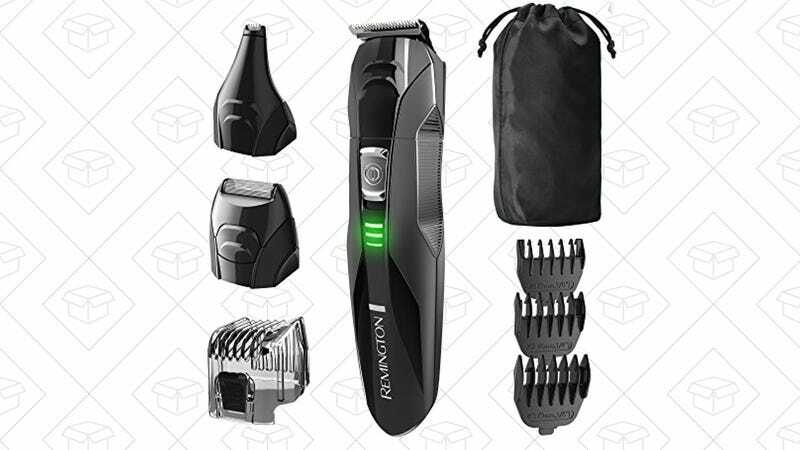 There are dozens of eligible products to pick from, and they go all the way up to $79, so choose wisely. If you still haven’t upgraded your morning routine up a life-changing wake-up light, Philips’ entry level model just got a huge price drop . 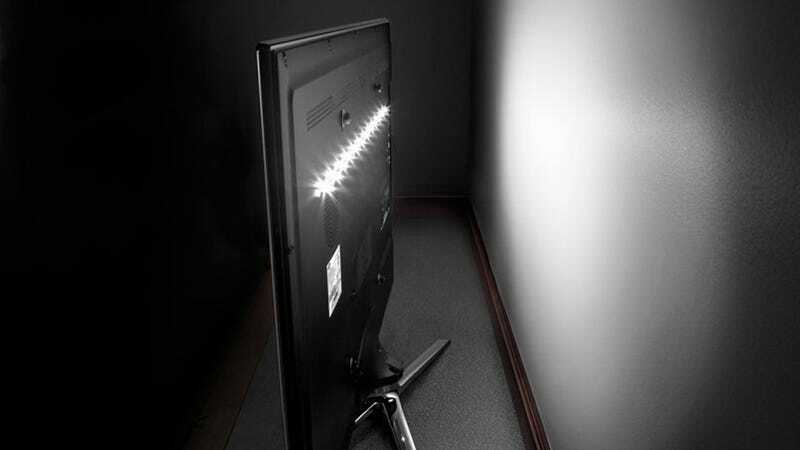 The Philips HF3500 is currently marked down to $40 , easily besting all previous deals. 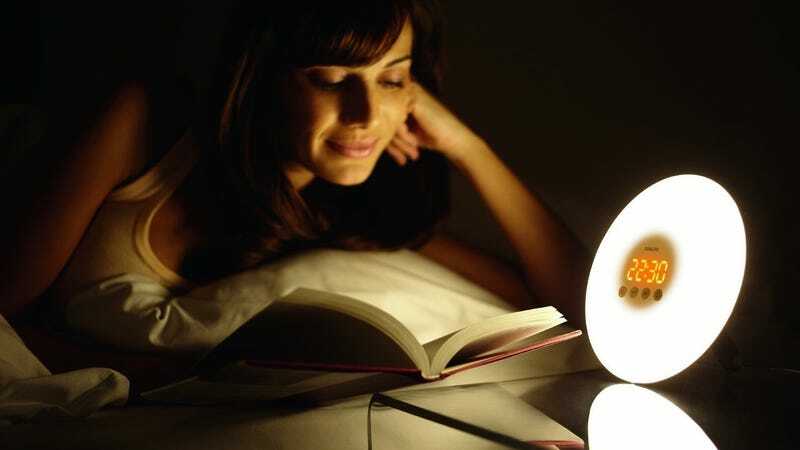 While there are higher end models with color-shifting lights and multiple wake-up sounds, this model still offers a reasonably convincing facsimile of a sunrise, which helps ease you out of REM cycles before the alarm sounds. I’ve been using it for years, and absolutely love it. Update: Sugar-free now up to $31. 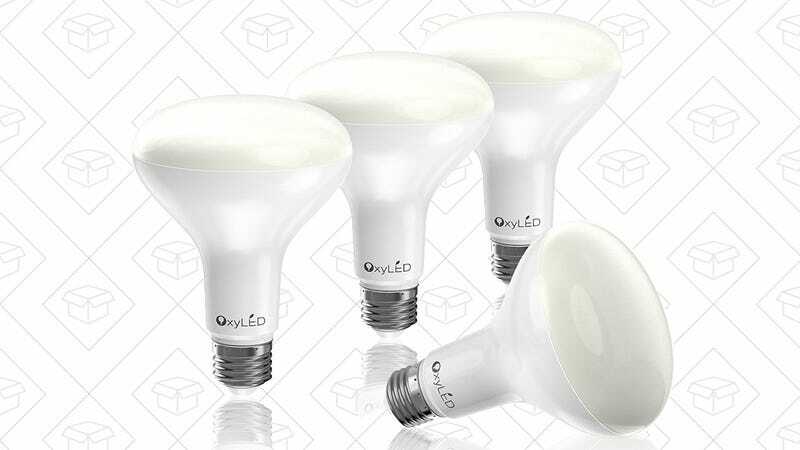 Inexpensive A19 LED light bulbs are pretty commonplace these days, but recessed BR30 bulb deals aren’t nearly as easy to find. Today, get four of them for $10 with promo code 4OXYBR30. Just note that at that price, they obviously aren’t dimmable. 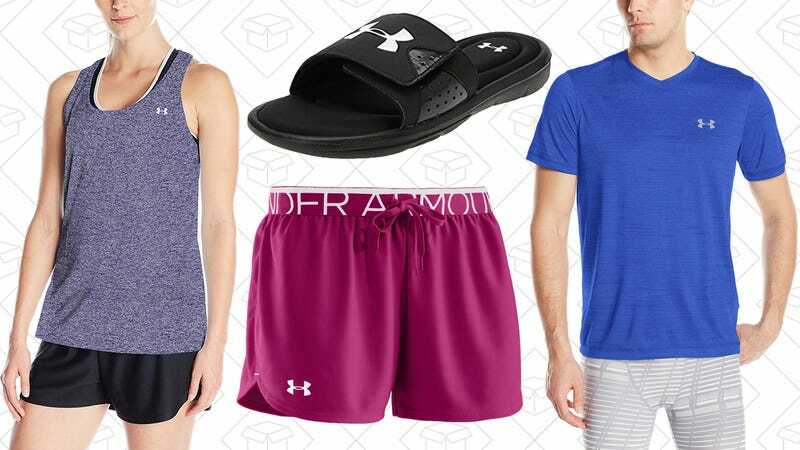 Amazon’s running a new fitness-focused Gold Box to get you ready for going outside, this time with a solid selection of Under Armour apparel for men, women, and kids all marked down to great low prices. 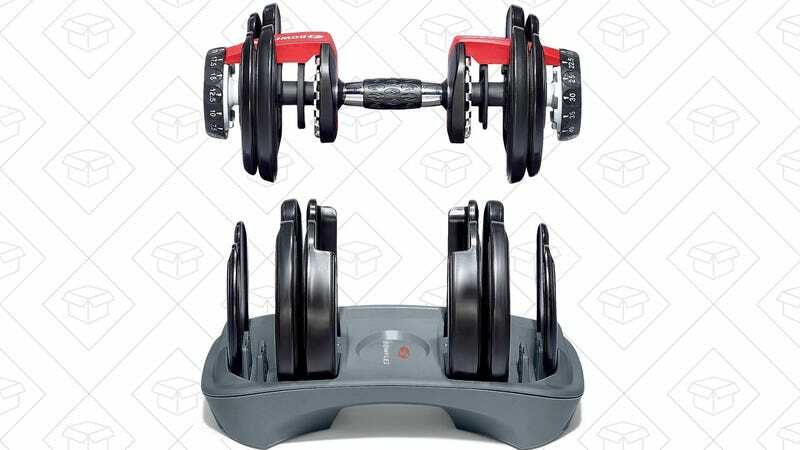 The price of these popular Bowflex adjustable dumbbells has been yo-yoing for weeks, but generally speaking, any time they’ve dipped below $200, they’ve sold out fairly quickly. So if you missed out on the last few opportunities, Amazon’s spotting you another chance today. 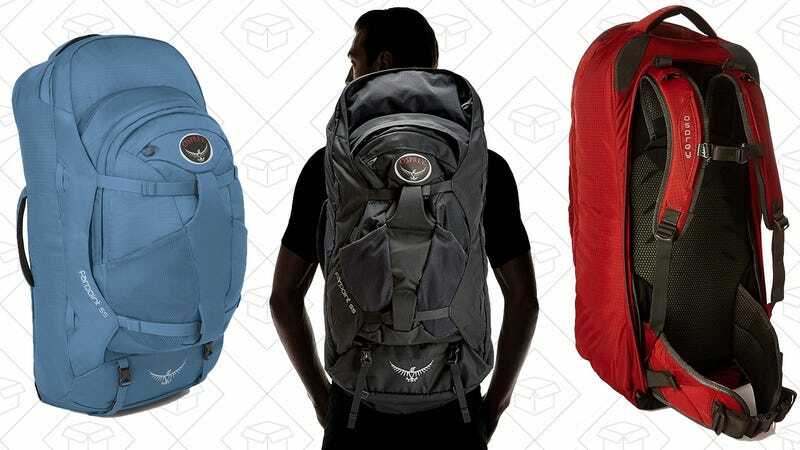 The Osprey Farpoint 55 took the Wirecutter title of best travel backpack, and Amazon’s marked it down to $135 today, in two different sizes. That’s a match for an all-time low, and about $45 less than usual. 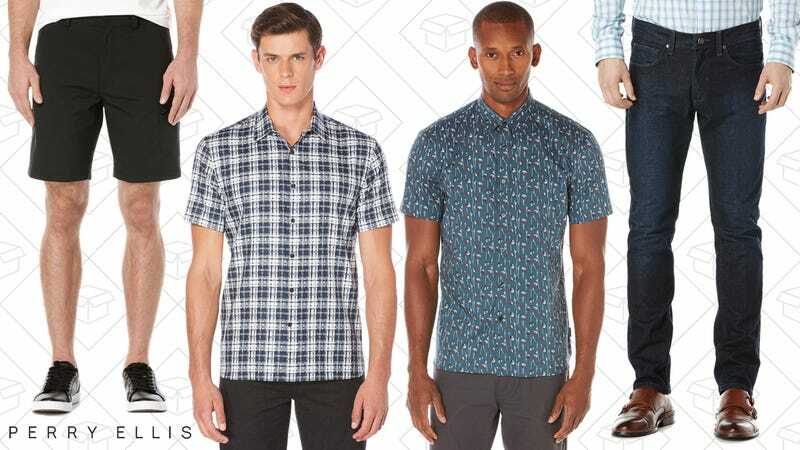 Perry Ellis is sailing into the nice weather by clearing out their clearance rack. 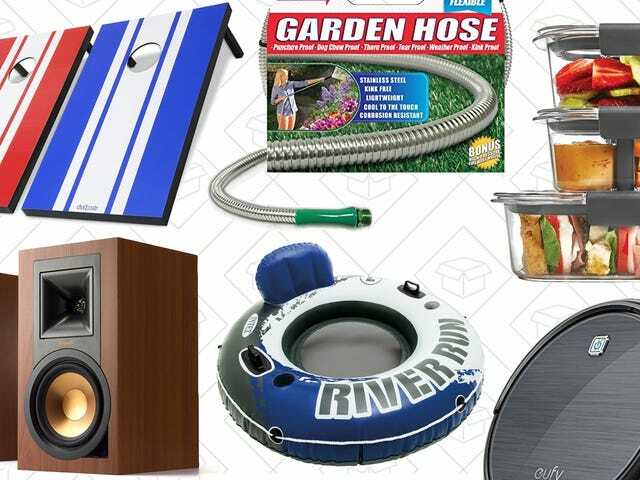 Save an extra 50% on clearance items automatically. Just add your favorite styles to the cart and see the discount at checkout. Stock up on everything you could need for those summer nights and upcoming BBQ’s. At $8 per month for Prime members (it’s still $10 for non-members), Amazon Music Unlimited was already more affordable than Spotify Premium or Apple Music , but Amazon’s sweetening the pot with a limited time $10 credit when you sign up for a new account with promo code MOREMUSIC. 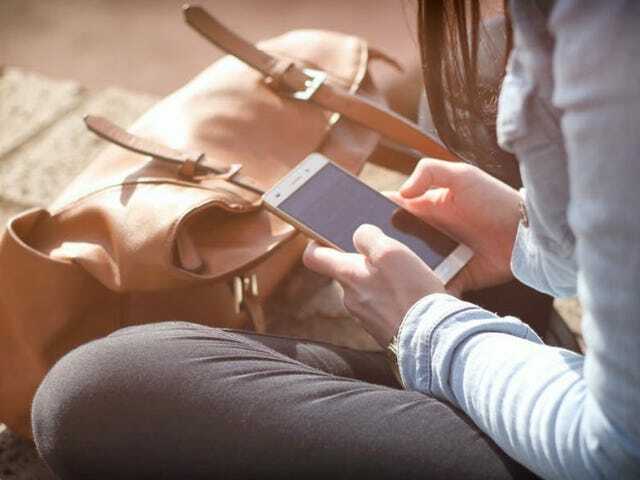 You’ll still get your one month free trial when you start the service, but the first $10 you spend on the service will be automatically refunded thereafter. That means you’ll get at least two full months for free, plus a little more if you’re a Prime member. Just note that this promotion is only available to new subscribers who have never signed up for a trial before. 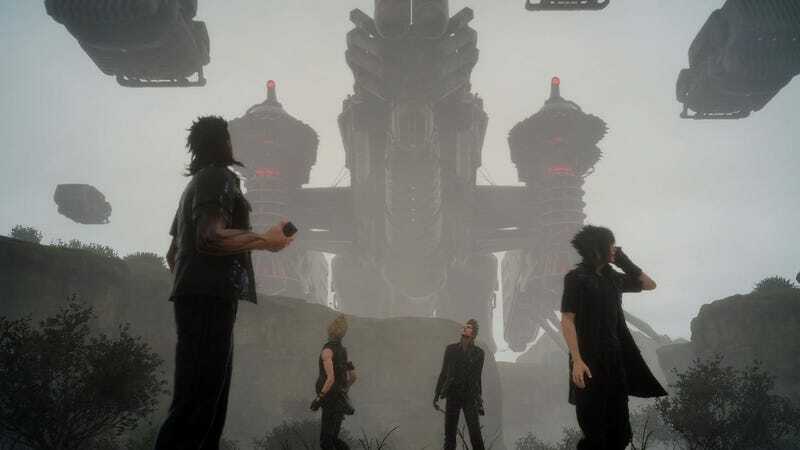 If you still haven’t picked up a copy of Final Fantasy XV (and you definitely should ), Amazon’s marked it back down to $35 today , matching the best price we’ve seen so far. 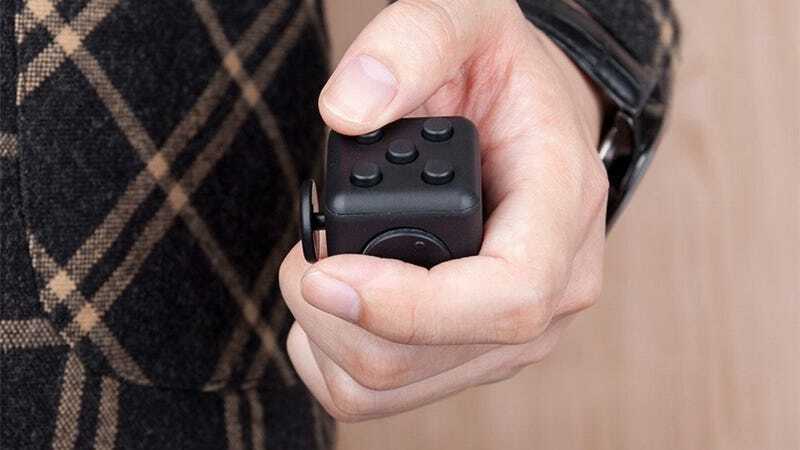 As a compulsive fidgeter, I’ve tried both fidget cubes and fidget spinners, and there’s frankly no comparison; cubes are far superior . 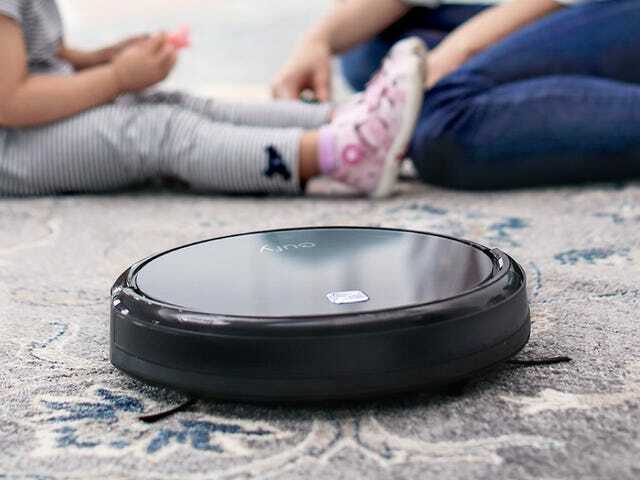 Why limit yourself to spinning when you can roll, click, press, flick, and rub, all on one device? There are two different colors available for $5, just note that they have different promo codes. 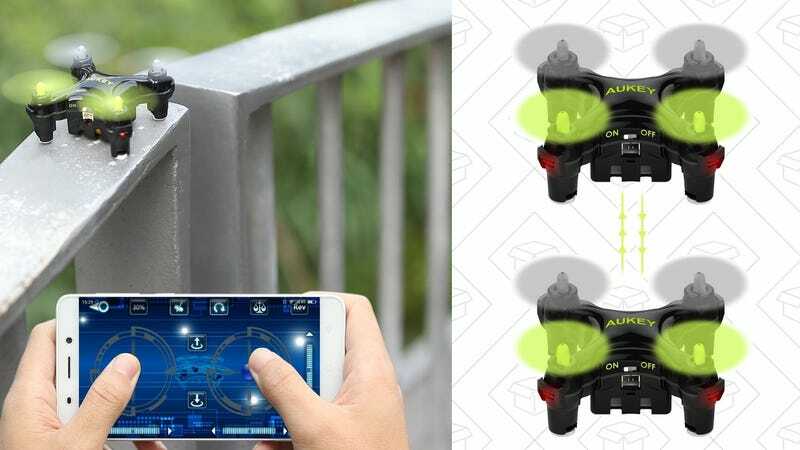 Before you go out and spend hundreds of dollars on a DJI Phantom, you can learn the basics of flying a quadcopter with this $20 toy drone from Aukey . Trust me, if you can fly this thing, you can fly a GPS-equipped, gyro-stabilized camera rig. And if not, well, it’s not like crashing it will be that big a deal. 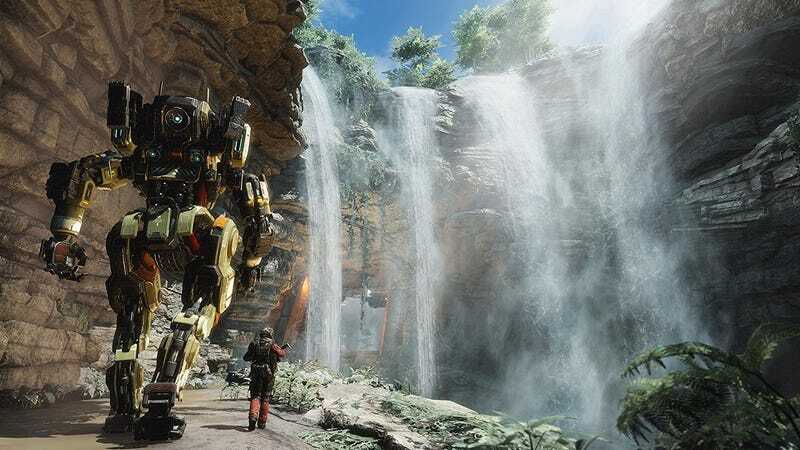 Titanfall 2 came out at the worst possible time last year to gain a fan base, but it really is a great game , and the campaign alone is worth $20 . 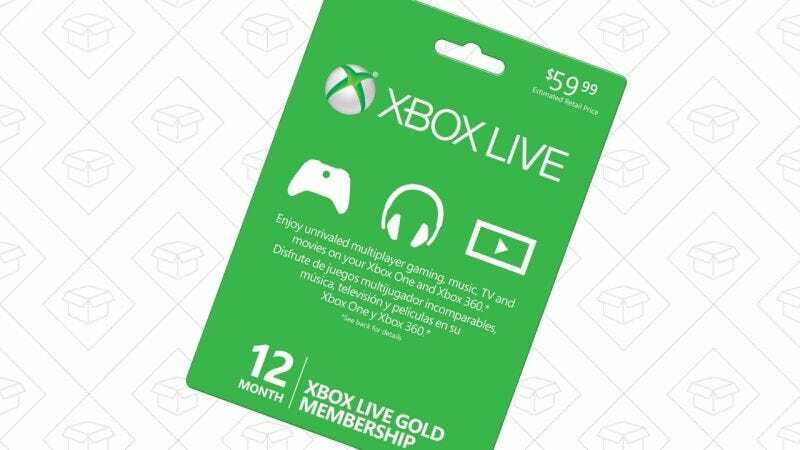 If your Xbox Live Gold membership is due to expire anytime soon, Amazon’s currently throwing in three bonus months when you buy a 12 month membership. That works out to about $4/month, and while we sometimes see slightly better deals than that on 12 month cards, this is a solid discount, and gives you an extra three months before you have to deal with renewing it again. Corey cooks lions on his BGE? Not cool, Corey. Not cool. Cecil fed his family for months. I still don’t understand all the fuss about “smart” light switches. I have yet to encounter a scenario where I need the light to be on in a room where I’m not currently located and switches are typically at the entryway. My friend had one in his LR and when we were putting a movie on he turned off the lights without getting up. Necessary? No, no. Useful? Sure. Same as any other remote control. I would like some for my outdoor lights. I have under eave lights, carriage lights on the garage, and a porch light. It would be nice to have them on a schedule that will turn all on at dusk, eave and porch light off at a set time like midnight, then the carriage lights off at dawn. Or using a program like IFTTT have the porch light turn on if my Ring doorbell sees motion or someone rings the doorbell.